Sit back and relax. You can trust us. We are the best at what we do. We arrive on time, every time! 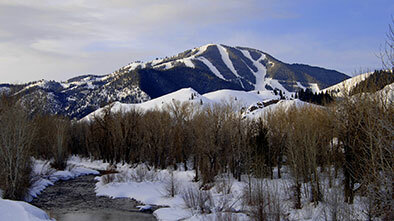 Serving all of Idaho including Sun Valley, Ketchum, Hailey and Jackson Hole, WY. Sun Valley Coach are experienced with high profile passengers giving them the same level of comfort & security they are accustomed to. Our reliable, courteous and knowledgeable staff is extensively trained and committed to your satisfaction. Gift certificates available! Perfect birthday, wedding, or graduation gift for the person who has everything, or is impossible to buy for! Your friends or family can use the gift certificate for a night out on the town, dining, concerts, a wine tour, or for just about anything else they can imagine! Best of all, since you gave it to them, they may even invite you along! Sun Valley Coach provides impeccable service. We are the only company in Idaho that has a showroom, 24/7 reservations, computer confirmations, and impeccable attention to detail. We have the largest and newest fleet in Idaho, an on-site logistics coordinator. Our drivers are extensively trained and professionally dressed. We arrive on time, every time! 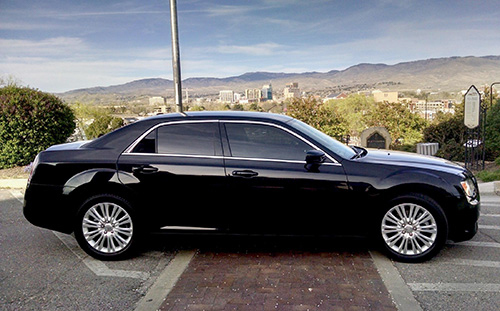 Our line of Luxury Town Cars, Sedans, SUVs and Vans provide a comfortable ride that will get you safely to your destination. Ensure that you will reach your destination in a convenient and timely manner. Take a look at all our services. Book your transportation online today using our conveniently online scheduling. 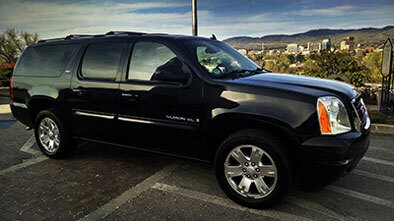 We provide spotless vehicles with impeccable chauffeurs for all business trips, groups, conventions, parties, dances, dinners, lunches, birthdays, and weddings.